Paper, ink, 2006, from 0,6 х 0,6 cm up to 1,5 х 3 cm. These pictograms decorated each page of ninth issue of almanac "Ninth Sphynx". 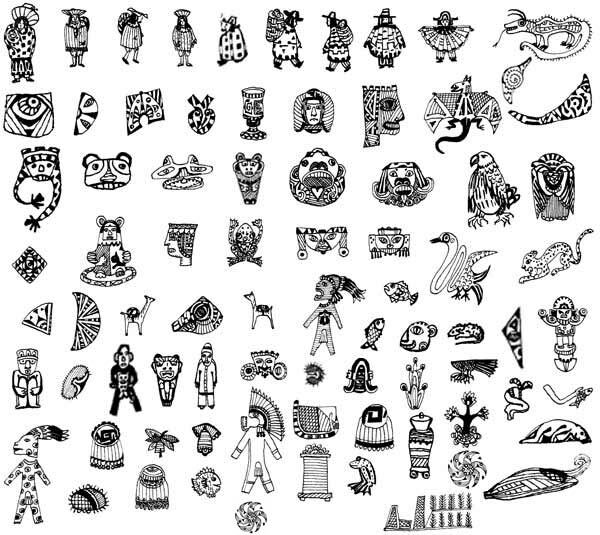 All this series of graphics has been devoted to the ancient cultures of all three Americas. In the pictograms, symbols of those ancient cultures are used, images of gods, writing system, ornaments from sculptures and pottery, images of Indian people.